Hope everyone had a good holiday and that the new year is off to a great start for all! My hobby goals for this year stem from the awesome gifts I opened up last week: a Land Raider Crusader to round out my marine army; 2 Talos and a Dark Eldar Battleforce which will effectively double the # of units available for my new army of dark kin; the Seafarers expansion for Settlers of Catan; some excellent hobby tools for my workshop; and then my wife really surprised me with this one :) -- a copy of Games Workshop's latest 'game in a box': Dreadfleet! Let me start with Dreadfleet. This game is beautiful! A true testament to the high level of detail GW has been able to achieve recently with their plastics. If only everything could be plastic instead of finecast; some of the new resin kits I've purchased have been alright, but others not so much which is even more disappointing when you consider the price premium. Nothing compares to their plastic molds which have minimal clean up and glue together better than anything. 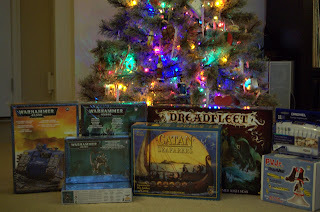 But back on topic, Dreadfleet the game is written by none other than Phil Kelly, mastermind behind the latest DE codex. I'm really excited to start working on theses models and to try out some of the missions in this game. I've read through the manual once already and have to say I'm really impressed with the quality and effort put into this game, not just from the models perspective but also the game mechanics. My first goal for 2012 is to assemble and start painting my Dreadfleet. Next up, my Land Raider Crusader. This will open up a lot of potential for new army lists and will be one of the first kits I work on. I've always wanted one of these and it will make for a fine addition to the biker army -- especially the outflanking version with Khan and some furious charge terminators on board! 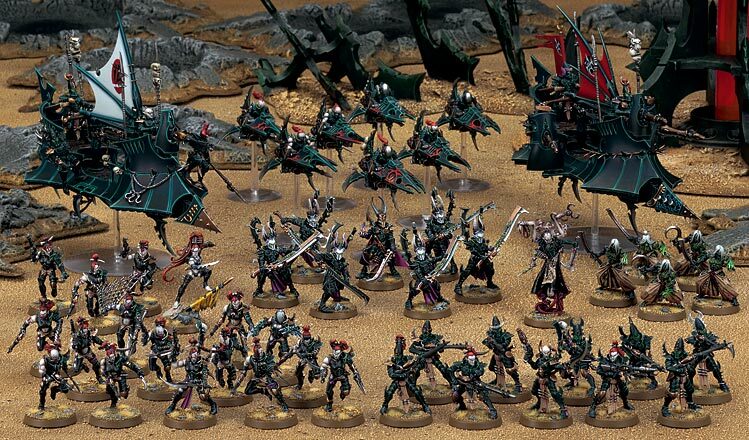 Then there's Dark Eldar, the army I've been most drawn to since entering the hobby. I want to take my time with these guys/wyches and make them look good. Some of the best models I've ever seen and a codex with many options to back them up. Really looking forward to this army. So there you have it, my 2012 goals. 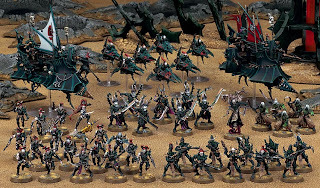 I of course hope to play more 40k and enter some more events but we'll see what happens. Definitely looking forward to the local events like Nova & Blob's, and would love to make it to an Adepticon one of these days. Hope 2012 is a great year for you, best wishes! Thanks, Papa JJ! I hope this is a great year for you as well! Hey Joe, have you gotten your hands on Instant Mold yet? They have it at Games and Stuff now. The stuff is amazing! Hey Alex! No I haven't tried that stuff out yet but I'll have to check it out next time I'm down there. Think it'll work for molding some extra powerfists? With a little practice, absolutely! I've been playing around with it for a little over a week now. It took me a few attempts to figure out how to make 2 part molds work, and then a few more after that to figure out how much putty to use. After that, I've made power swords, meltaguns, and crimson fists shoulder pads that you have to look at twice to know their copies.